Whether we are speaking with the clerk at the store, our boss, or our spouse, language is dependent on things as commonplace as a rising tone of voice, an apparently meaningless word, or a glance—signals so small that we hardly pay them any conscious attention. Nevertheless, they are the essence of how we speak. From the traffic signals of speech to the importance of um, How We Talk revolutionizes our understanding of conversation. 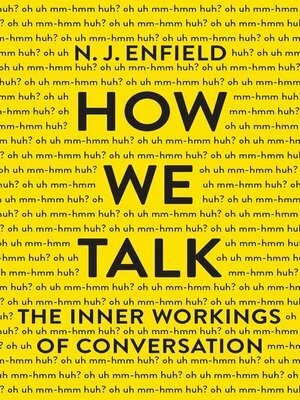 In the process, Enfield reveals what makes language universally—and uniquely—human.